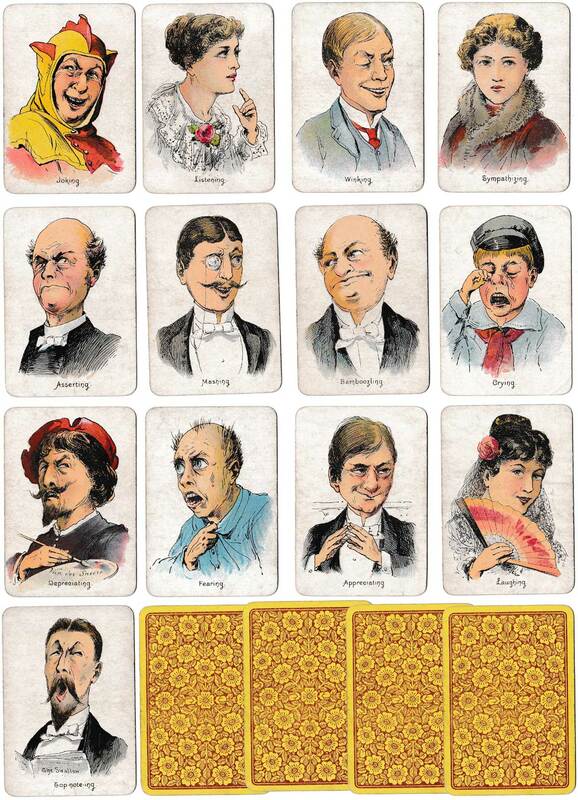 “Moods & Faces” card game by Thomas de la Rue & Co Ltd,. registered in 1890. 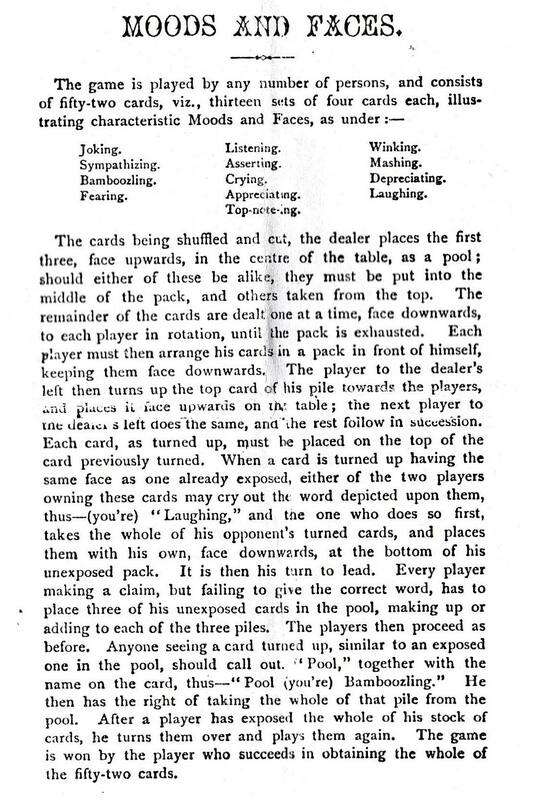 The game consists of fifty-two cards in thirteen sets of four cards each, illustrating characteristic Moods and Faces. The game is played along the same lines as Snap. 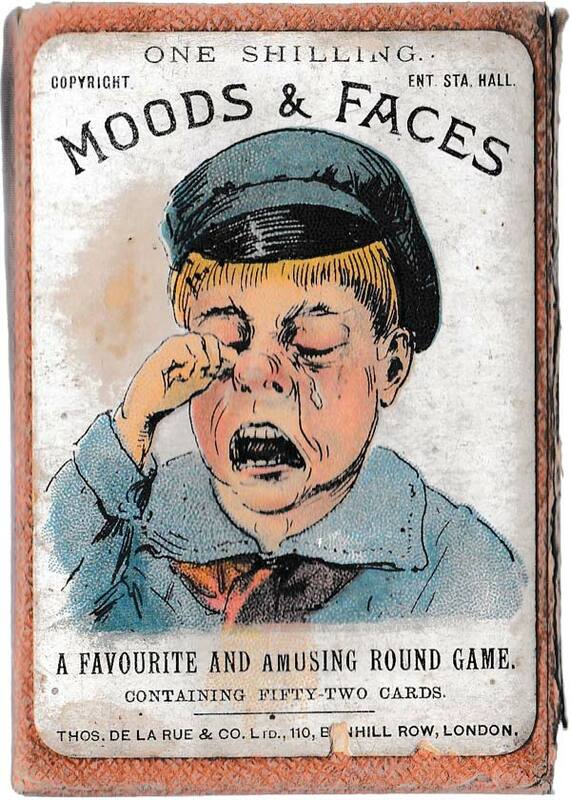 Above: “Moods & Faces” round game by Thos de la Rue & Co Ltd,. c.1890. 52 cards in box. Images courtesy Rex Pitts.